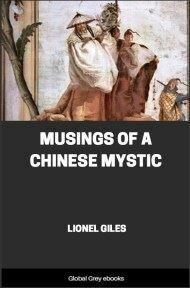 This is a travelogue by a 19th century Christian missionary who visited several sacred locations in China, including places holy to all three of China's principal religions: Taoism, Confucianism and Buddhism.He relates many fantastic stories of visions of Gods and Goddesses which manifested around these locations. He calls on religious leaders who live at these sites, including an audience with the 'Taoist Pope.' 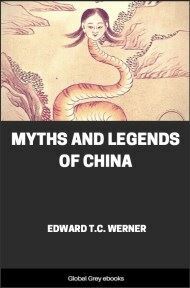 Chapters include, Early Buddhism In Hwang Mei, Ngn Ren Tsz—The Monastery Of Benevolence, Kiu Hua Shan—The Nine-Lotus-Flower Mountain, Poot'oo—China's Sacred Island, and Lung Hu Shan—The Dragon-Tiger Mountain. 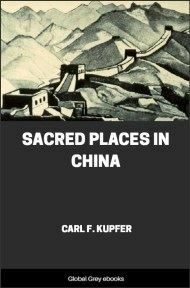 It is probably not generally known, that in Hwang Mei Hsien, Hupeh, Buddhism found a most fruitful field in the early centuries of the Christian era. That long range of mountains north of Kiukiang is even now yet teeming with temples of more than ordinary fame. Thousands of pilgrims from many provinces visit these sacred shrines every autumn. The lamentable cries and moanings made by these pilgrims, when they prepare for starting on this pilgrimage, are not soon forgotten by those who spent the hot September nights in Central China cities. That their petitions may be answered, they take upon themselves the best vows, even promising not to look at a vain woman, while on the way to the temples. The natural features of this granite mountain range are quite sufficiently interesting to explain why it was sought by devout devotees of early Buddhism. In some parts it is extremely rough and lies in such a rugged tumbled chaos, as scarcely to admit of classification. Although the general aspect is one of sheer desolation and barrenness, it must not be supposed that there is no fertility to be found. There are many rich valleys and pleasant little rivulets, fringed with verdure here and there, watering the rice fields far up the winding valleys; even the barest and most stony hillsides are seldom without vegetation. The Fourth Patriarch's Monastery is situated at the upper end of one of these delightful valleys. Approaching it from the plain below, nothing is seen of it, until the bridge, spanning the Pi Yü, crystal stream, has been crossed, when the temple comes in view, standing in a large natural amphitheater, opening toward the south. 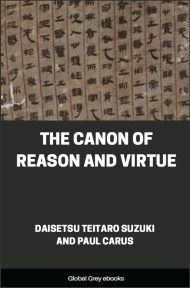 By a remarkable coincidence, nature has here greatly aided the imagination and the credulous superstition of the Chinese mind. Two rugged spurs of mountains, supposed to be dragons, and as irregular as this fictitious animal can be, fighting for the Chu "Pearl," a little knoll in the open amphitheater, is certainly all that could be required, from the Chinese point of view, to make this a charming situation. High up on a formidable mountain citadel, west of this monastery, stands a little temple, now in charge of a Taoist recluse. This temple is built over a natural cave in which, during the T’ang Dynasty, the Goddess of Mercy dwelt. When Hwang Ch’ao, the rebel, came to her abode in search of believers in her religion, she leaped across the deep ravine, which separated her from the monastery, and lit upon a solid granite rock, where her foot left an impress about three inches deep. Near by this footprint the place is seen where she rested. Rain and snow, frost and heat, drought and dampness of more than twelve hundred years have been unable to wash away the stain which the tears of the infuriated goddess left upon this granite rock. The founder of this monastery, Tao Hsin, was born in Honan during the Northern Chou Dynasty in the reign of Ta Hsiang, A.D. 580. The Emperor, having heard of his precociousness and later of his virtues, sent him upon several occasions fine garments and invitations to come to the capital, but he always refused to accept the presents and declined to appear at court. When he was threatened with death if he persisted in his refusal, he calmly offered his head to the envoy. The Emperor, hearing that no Imperial consideration could induce him to improve his condition, left him in peace and built for him the Pi Lu Ta, a rafterless octangular temple. Approaching the monastery, this temple-tower is seen standing on the back of the dragon, which forms the left side of the amphitheater. That this structure was built in the sixth century is quite credible; for it clearly shows age. The tooth of time has so deeply set its mark upon it, that its masonry resembles, in age, the rocks of the surrounding hills. No wood was used except for the two doors, one large front door and a small one at the east, which have, however, long since disappeared. Only one corner of the tower is shown on the photograph, the annex to the east is of modern work. In this temple the Patriarch lived and died in the latter part of the seventh century. Seven years after his death the doors burst open of their own accord, and it was seen that the body had not decayed. When the Emperor heard of this, he promoted him to a god among the deities of the Chinese Pantheon. In the Ming Dynasty, the fourth year of the Emperor Wu Tsung, A.D. 1520, it was seen that a flame of fire issued from his head and consumed his body. It is now replaced by a copper image, enshrined in the monastery within an inaccessible shrine. A dim light is kept burning before his gloomy, dismal altar. In front of the main temple of this monastery stands a large cypress tree with the limbs grown downward, a strange freak of nature. The story told about it is that Hung Jen came to the Fourth Patriarch and desired to be instructed by him in the doctrine. The Patriarch replied, "You are too old now, you will have to wait for a new cycle." Thereupon the future successor of the Patriarchate pushed the small end of his staff into the ground and departed. The staff grew, and the result is the inverted cypress tree. Last year it died, root and branch.